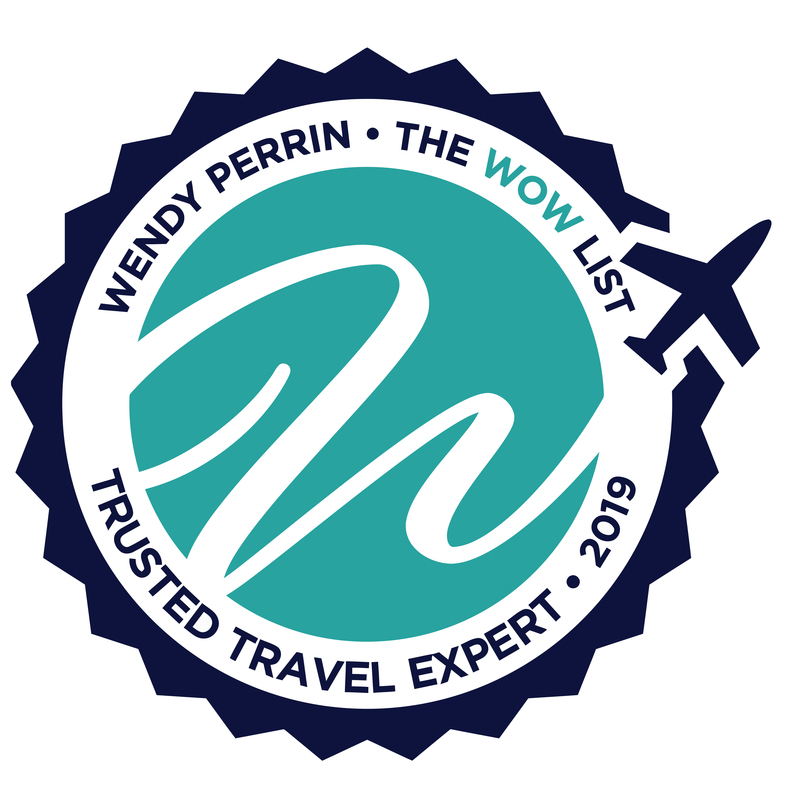 Jill Taylor is on Wendy’s WOW List of Trusted Travel Experts for her skill with trips that combine multiple countries in Western Europe. Don’t miss Jill’s Insider’s Guide to The Italian and Swiss Alps. I called Jill Taylor to book a trip for the week of Christmas. We wanted to spend a week in Mexico at a beautiful hotel on the beach, but with our kids now teenagers we knew we needed a hotel that offered more for them to do. We decided it was time to try an all inclusive hotel. I was nervous as I’ve definitely become a bit of a hotel snob. However since this was my fourth trip working with Jill I knew she would suggest hotels I would like. Jill made several suggestions of properties I wasn’t even aware of and secured a great price for us once we narrowed it down. Jill and Pete dealt with all the details and many follow ups with the property as well as travel insurance when booking and then with confirmations and transfers as the trip approached. The hotel was beautiful and we were very happy. We had a great relaxing vacation and our children did too! We did not have specifics to direct Jill and she prepared the perfect trip. Well done. I worked with Jill Taylor in tandem with Bucher Travel. Jill brought Bucher in for the Switzerland portion of the trip. We went biking in Burgundy and Chablis (using Backroads, which we are huge fans of) and also did the Swiss Alps. Jill and Bucher were fantastic. Their planning was impeccable. Fantastic suggestions, choices, and organizations. The trip was excellent, as were the excursions they suggested, the guides and the hotels. Whenever we had questions real-time during the trip – weekends included – they were easy to reach and extremely responsive and knowledgeable. Also, Jill provided a mobile app which I used multiple times each day (we were doing a lot of moving around, with trains, etc. so I could refer to the app and get detailed info, not only for hotels and excursions but for transportation details). I will absolutely use them again. The trip was amazing and something I could not possibly plan on my own. We had a last minute trip to Italy that included attending a wedding and needed someone knew our style of travel and would not complain that she had only one month to plan everything! Jill Taylor performed again for us (we used her for Italy 2 years ago and Africa in January 2018) and gave us choices of hotel in Florence and Rome and set up private tours in both places that were truly off the mainline tours. Jill had us upgraded in our Florence Hotel and for Rome suggested the best value was the prepaid rate that saved us several hundred dollars. In both places, Jill had personal greeting notes to us. and in Florence, there were sweets and beautiful fruits greeting us from Jill. The guides were top notch and drivers and transportation flawless. Jet Set has a fantastic app that constantly updates and is a great communication device between us, Jill and guides, etc. We would use her again in a heartbeat. My husband and I just returned from an amazing week in Ireland that was planned by Jill Taylor. Our first stop was four nights at Ballyfin in Laois County. Jill got us an upgrade to a suite which is no easy feat considering that there are only 20 rooms in total…only 3 of which are suites. But because of her relationship with the hotel, she surprised us with a suite which was fabulous. Having been there herself Jill was able to recommend all the house activities that we shouldn’t miss. Ballyfin was even more beautiful than I had even hoped. We could have stayed there the entire week! Then we went to Dublin where the choice of hotel was perfect for what we wanted to accomplish. Transfer to the airport went off without a hitch and the JetSet app continues to be my favorite tool while traveling. I don’t know how I ever managed without it. Pete Timble as always is on top of every detail making sure trip insurance, car rental, flights and all relevant info is taken care of. Another perfect trip with Jill. We can’t wait for our next one! We were going to Italy, Athens, and Amsterdam, and needed an expert who could help us in each of these areas. Jill worked with us to understand our interests and then tap into her resources to find us great choices for hotels, apartments, and guides. We ended up with a set of experiences that we wouldn’t have had on our own, and that our family will remember for years. The best decision we could have made! Our Italy trip to see our daughter studying abroad started by contacting Wendy. After answering a few questions, she then directed us to Jill Taylor to guide us on our journey. This was the best decision we could have made! Jill was a delight to work with and having lived in Italy for a while she was so helpful in planning an itinerary with our budget in mind. On top of that, she created a great itinerary with private tours to see top sites in Venice, Florence, and Rome with her connections. We felt like royalty at times! Jill was available and professional in every aspect. We will definitely use her again for a future trip! My travel planner was Jill Taylor, she did a terrific job of arranging not only an English speaking driver but also English speaking interpreter & guide. I needed these folks because I can not speak Italian nor could my Italian cousin speak English. The people Jill hired for me on this trip to Palermo, Sicily & Rome, Italy was more like family, both my cousin, my grandson and I felt very at ease with these folks. They helped in a very large way to make the trip with my grandson a huge success. Jill’s pick of the two hotels was implacable, both the “Eden” in Rome & the “Principe de Villafranca” were perfect for us. I do not have enough adjectives at my disposal to describe how nice this trip was for myself and my 29-year-old grandson. Jill arranged a side trip for us to a town of “Casteldaccia” Sicily the home of my Grand Mother and David`s great, great grandmother. This gave us both a sense of our own History as well as History in general. My grandparents came to America over 115 years ago. It also gave us a REAL appreciation of our own Beautiful United States of America!! Jill got us the answers. Jill did a fine job – we wanted to do an Abercrombie & Kent trip so she arranged it. She also arranged our trip insurance. We had a lot of questions and A & K wasn’t responding right away so Jill got us the answers. I don’t think that this type of trip really highlighted Jill’s skill set as it wasn’t too difficult of an assignment if that makes sense. Jill Taylor and her associate Peter Tibble were terrific! I had planned this trip to celebrate my 50th birthday. I had actually originally planned to go to Anguilla and then Hurricane Irma hit and Anguilla was heavily damaged. For months Jill and Pete were in contact with my hotel who kept saying they thought they’d be reopened by Mid February. They finally told us they wouldn’t be reopened in time so we had to rebook. So we switched to St. Lucia. So Jill basically booked two trips and then Pete was so great with following up to make sure the first hotel refunded my deposit. While in St. Lucia Jill was in contact with my husband making sure surprises she had planned happened as well as surprises he had. I didn’t know any of this. Upon arrival, I had champagne and fruit from Jill waiting for me but then during the trip, Jill surprised me with a fabulous spa gift certificate for my birthday which was so generous and really amazing. It was so clear they wanted this birthday to be special and it was. They did a fabulous job! My wife and I traveled to northern India in December 2017. 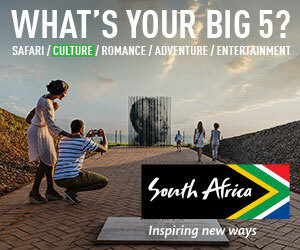 We selected an itinerary with A &K that appealed to us, opting for a travel agent as an intermediary. She helped to make our trip memorable and worthwhile, explaining our options thoroughly. We chose to upgrade our Leela Palace rooms; the results were fantastic. When we had concerns about restoration work at the Taj Mahal, she allayed our worries. We received a complimentary upgrade in Agra. As the only people on our trip, we had the same guide and driver for eight days. Both of them were superb. Jill Taylor is fantastic. She was easy to work with, talk to, follow up with – she had all the bases covered. We left MO, USA on 09/11/2017 and first went to Florence, then Monteverdi Tuscany, then Matera, then Lecce, then Amalfi Coast and finally Roma. Fantastic properties and even better guides and drivers – we left there feeling like we made 20 new, really good friends. Jill planned an extraordinary trip for our family that more than exceeded our expectations. Every detail was taken care of from our transportation to our guided tours. Excellent attention to detail was paid when booking our hotels. Every part of our trip was perfectly customized to meet the needs of our family of five and there were no surprises along the way. Our entire trip itinerary was sent to us in both a PDF and an app that we all had on our phones making it accessible at all times. Best idea ever. Honestly, I could go on and on, not one part of our trip was anything less than amazing. I can’t endorse Jill Taylor enough. I thought Jill was very good. I was happy that I selected her as my agent through your service. Jill worked hard to come up with a good travel plan, not necessarily easy as I didn’t know quite what to expect, made some last second changes, and because I am probably in need of more feedback and assistance than some other travelers. Jill responded to me quickly whenever I contacted her, fixed issues when they arose (not caused by her) quickly on my behalf. I would definitely book again with Jill. Jill Taylor recently planned my sons multi-location European honeymoon. She is extremely knowledgeable and organized. Jill has many excellent contacts and was great in coordinating the different aspects of the vacation and with multiple locations throughout Europe, it was imperative to have a good quarterback or coordinator. We worked to get the best prices at all of the locations and also was able to get hotel upgrades for the same price. A key feature of her service is a fantastic phone App that contains live and interactive itinerary and schedules with contact numbers. There is a feature to send messages and responses are quick. For example, if there is a problem, there is an avenue to register the question and get and prompt response. Changes to the schedule can be made and be viewed real time. This is the first time I have used a travel expert that has this phone App and it is really a great thing. Jill was attentive and responsive, She offers very high-end service. I would highly recommend her for any type of travel. Jill Taylor helped us plan a last minute, four-day rail sojourn through western Switzerland. Our sightseeing itinerary included Lucerne, St. Moritz, Poschiavo, backwards and Interlaken. Our party of six could not have been happier with the arrangements she made for us. We had wonderful train arrangements on both the “Glacier Express” and the “Bernina Express.” Our four-day first class rail passes made traveling easy and included a cog rail train to Mt. Rigi and a boat trip to Lucerne. Our luggage was handled by courier and we did not (for the most part) have to worry about our own bags. Jill arranged for a guide, Eliana, on our first day. Eliana was magnificent and gave us great commentaries on Mt. Rigi, Lucerne, the history of Switzerland, and she even arranged transportation for us in our next stop, St. Moritz. All in all, this was a great trip and Jill bent over backwards to accommodate all of our requests. (We had two unique dietary requirements which were taken care of perfectly.) We cannot say enough about Jill’s professionalism and certainly, we are already contemplating future travel with Jill as our agent. Jill will work with you to be sure she understands your particular needs and will do everything to accommodate them. Jill Taylor certainly deserves her spot on Wendy Perrins WOW List! Jill developed a great itinerary which, as I requested, combined great sightseeing with downtime in beautiful places. The itinerary was perfect for the three generations traveling together. Jill Taylor with JetSet Travel, never missed a beat! I was set up with the most FABULOUS trip! I contacted Jill while on my vacation to make some last minute additions to the itinerary — she was on it immediately (I dont think Jill sleeps)! I never had a worry. I will definitely use Jill for all of my travel planning. Jill was absolutely amazing! I was completely overwhelmed trying to book our honeymoon myself. A 15 day trip to Italy with so much to see and do~~ Jill really helped us pin down what We wanted to experience. Jill got to know us and had great suggestions based on our travel style, likes and dislikes. Jill was extremely responsive and even answered questions that we had while we were on our trip. With her incredible relationships, we had the best tour guides we have ever had- real archaeologists, historians and locals–we experienced authentic Italy, which is just what we wanted! Our transportation was completely organized and was executed without a hitch. All of our drivers were very friendly and very accommodating. We had all of our travel documents on the Jet Set app- it was incredibly convenient and organized. Booking our honeymoon through Jill gave us a real VIP experience. Every hotel, tour, dinner, excursion was top-notch and we were treated like royalty. I realize that this review is all positive, but that is exactly how the trip was. It was perfect and we feel so blessed to have experienced Italia the way that we did. Jill worked very hard to get an understanding of what we are about and what we would like and then did a great job of connecting the dots between us and our travel needs and wants. She came up time and time again with great suggestions for Hotels and Restaurants in Italy. Also her thoughts around day excursions were spot on as well. This is our 2nd time utilizing Jill and we will not hesitate to do so in the future. Also her service of us live time while we were on the ground in Italy was very responsive. My family of four, including two boys (12 and 10 yrs old), had the pleasure of working with Jill Taylor for a trip to Europe in August 2016. Jill helped me with every detail of our itinerary, from selecting which countries to visit to making dinner reservations and arranging for our transportation needs. She is a true professional. She spent time listening to our travel styles and needs up front in order to make sound recommendations. Throughout the planning process, Jill was insightful, resourceful, responsive and flexible. With her guidance, we crafted a trip that perfectly satisfied the diverse needs of my relaxation-seeking husband and adventure-seeking children. Furthermore, I was able to fully enjoy our travels because I had confidence that Jill had thought of every potential wrinkle and important detail, and was available to help with any questions I had along the way. Everyone had a truly fantastic time. Jill Taylor of Jet Set Travel did an amazing job of planning our tours and for 3 weeks in Italy. We came to her late in the game and with less than one month before our travel she was able to interview us and plan some amazing tours. We were given an a la carte list of tours and activities and we chose at least 75% of them because Jill really listyened to us during the planning interview. We had traveled in Italy many times and had private guides etc. but Jill really zeroed in on the essence of what we wanted to do and she hit the target every time. She was totally available to us and had an amazing app for the entire trip which made us feel we were totally in her care. Highly recommended. Jill is 6 star. This is the first time I have used a travel agent/concierge. I have been to Europe many times and lived there, but my best friend wanted a well-planned trip to Italy, and I felt overwhelmed. Wendy set me up with Jill and Caitlin. I first discussed the basic goals of the trip with them—our budget and the locations we wanted to visit (Florence, Tuscany, the Amalfi Coast). From there, there were 3 forms to fill out. The forms asked a lot of “getting to know you” questions. Then they sent me an initial itinerary, which was so detailed and really captured the timeline and hotel amenities that we wanted. A few weeks before the trip, I got the final itinerary through an app which had every train ticket, hotel reservation, activity plan, etc. We have now returned from the trip. It was so smooth. The attention to detail was impeccable. Even little things—like booking seats on the train so we would be sitting together but with adequate room for bags, etc: Perfection. Drivers who transported us around, picked us up at the train, were punctual and knowledgeable. We had no “What do we do now?” moments. Also, we were within our stated budget; this included food, activities, tips, hotels, souvenirs, etc. Unbelievable. Jill and Caitlin were available through messaging in the app and by phone. I didn’t need them during the trip but, even before we left, I could email and get a response within 12 hours. The hotels were exactly what we wanted, situated in the cities with easy accesss to sites, with all the modern conveniences we expected, and with the friendliest people I have ever met. I can never again travel outside the U.S. without this service. The trip was so efficient and stress-free, and there was no time wasted trying to “figure out” Europe because all the plans were made. Specifically, we arrived and were picked up at baggage claim by a driver who took us to Tuscany. We checked in and were taken for a prosecco toast, then lunch, then the spa, ending in an outdoor soaking-tub experience while watching the sunset. Dinner was a chef’s table. And this was just the first night! I could go on and on about how enjoyable the trip was, but all the credit goes to Jill and Caitlin. Wow!!!! Great job putting this together. I have recommended them to all my friends and suggest using them the next time you go to Italy because they really made the difference between a good trip and the trip of a lifetime. Last thing: The service is affordable. I was worried about the trip costs, but their services were above and beyond—and worth more, given the time and money they ultimately saved me. Jill Taylor is a Rock Star. Our trip to Paris and London was beyond our greatest expectations. It was our first trip to either city, and we had Jill set us up with greetings at the airports and train stations , transfers to and from hotels, hotels and some tours. As we departed from the plane in Paris, we were greeted immediately and led past even the fast track security lane to front of security as if we were diplomats . Right then I felt no matter what else happened , working with Jill was worth it.! I have booked many trips , had arrangements made , etc… , stayed in some very nice resorts and hotels and always , always there are at least little things that happen or major snafus that happen and can find some constructive criticism to pass along when asked. I say this only to point out over 14 days , nothing could have been improved on our experience.